I feel so honored that Associate Director for Grants and Programs at the Illinois State Library asked me to be one of the main speakers at Jesse White’s Salute to Veterans in September at the Illinois State Library. This is truly an honor and my mother (Mollie) would have been so proud. Chicago Writers Association unveiled its 2016-2017 Speakers Bureau. 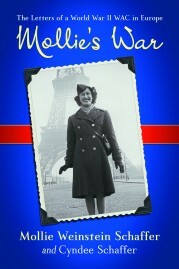 If you are looking for a speaker about women in the military during WWII, please keep me in mind. I am listed on the Speakers Bureau in the History section: The Journey of Mollie’s War : WACs and WWII.